Printer Consumables :: Toners :: BROTHER TN-2005 Black Toner, 1,5k pgs HL 2140 / 2150 / 2170 / MFC 7320 / 7340 / 7440 / 7840 / DCP 7030 / 7040 / 7045. Αρχική/Printer Consumables/Toners/BROTHER TN-2005 Black Toner, 1,5k pgs HL 2140 / 2150 / 2170 / MFC 7320 / 7340 / 7440 / 7840 / DCP 7030 / 7040 / 7045. BROTHER TN-2005 Black Toner, 1,5k pgs HL 2140 / 2150 / 2170 / MFC 7320 / 7340 / 7440 / 7840 / DCP 7030 / 7040 / 7045. 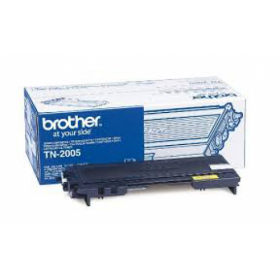 Γνήσιο (Original) Toner Brother κατάλληλο για τους εκτυπωτές Brother HL 2140 / 2150 / 2170 / MFC 7320 / 7340 / 7440 / 7840 / DCP 7030 / 7040 / 7045.